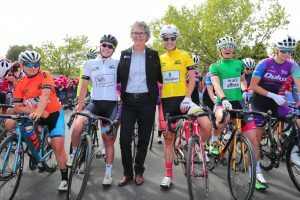 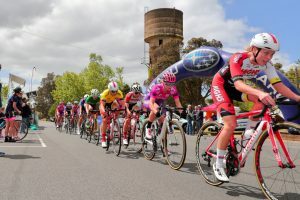 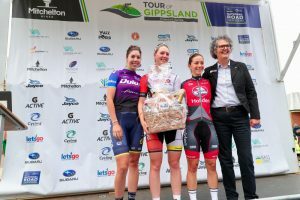 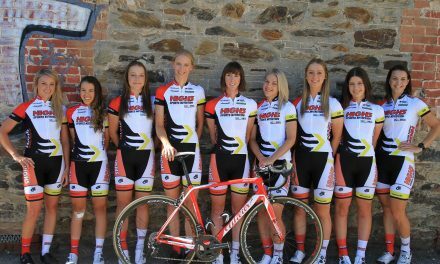 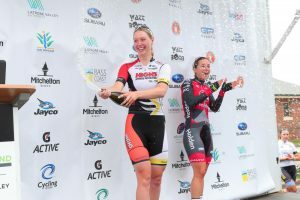 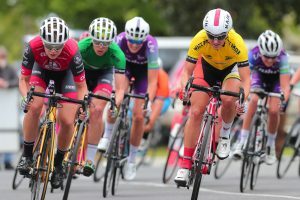 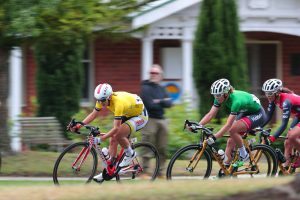 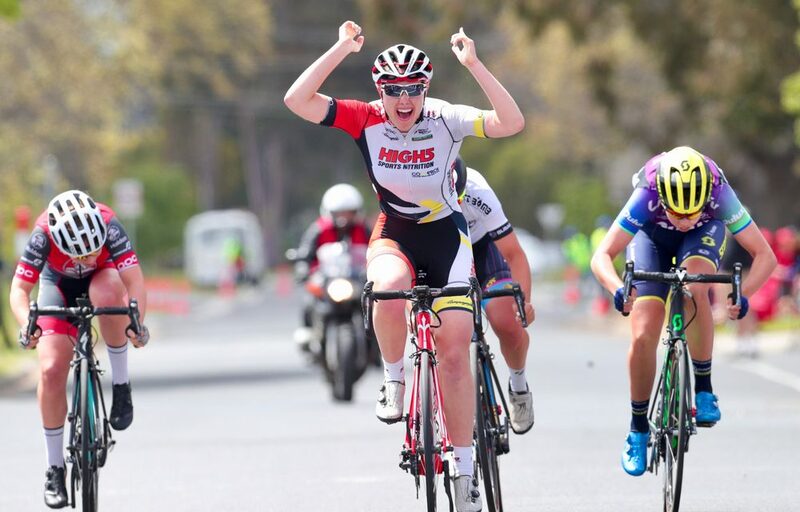 Chloe Moran has claimed her maiden National Road Series stage victory, sprinting to the win on Stage 2 of the 2017 Tour of Gippsland today in Sale. 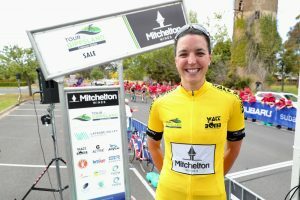 The win moves Moran up to third on General Classification, just one point behind joint leaders Nicola MacDonald, and Moran’s High5 Dream Team teammate Rebecca Wiasak. 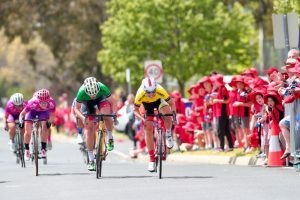 In a stage littered with attacks and counter-attacks, it was Moran who took the race by the scruff of the neck midway through the 45-minute criterium, launching a blistering attack to protect the race lead of Wiasak. 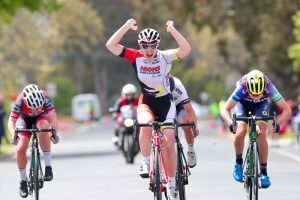 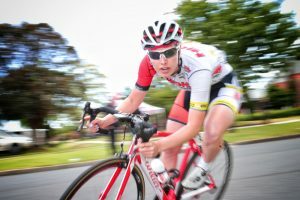 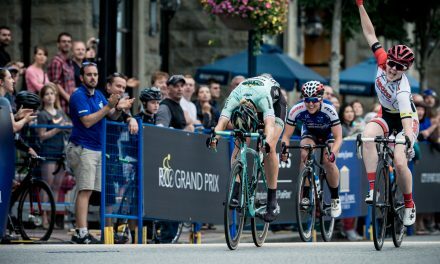 Moran was quickly joined by MacDonald, and two became five as National Road Series leader Shannon Malseed, Georgia Baker, and Sarah Gigante made the winning move of the day. 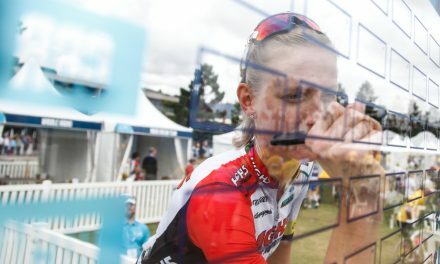 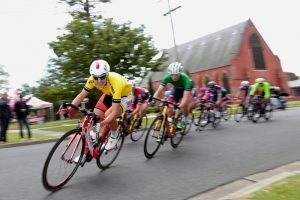 With her teammate and race leader Rebecca Wiasak safely in the peloton, Moran was able to conserve her energy at the back of the break, and unleash her powerful sprint to the line. 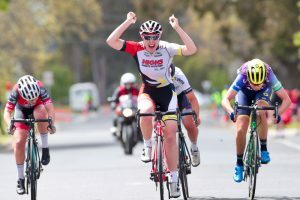 ‘Coming into the end, I was composed and thinking about the best place to launch the sprint, and as we are coming into track season, we have been working on our sprints, so luckily I had that there in the end,’ said Moran. 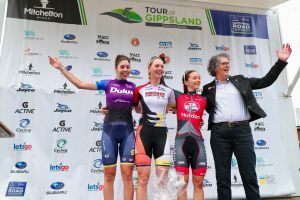 The Tour of Gippsland continues tomorrow, Saturday 21 October, with a 45 minute + five laps criterium beginning at 11am in Bairnsdale. 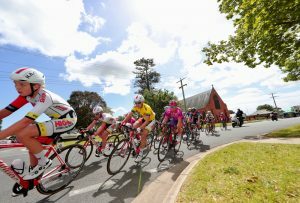 Watch the livestream on the National Road Series Facebook page, or follow on Twitter via hashtags #TOG17 and #NRS17.